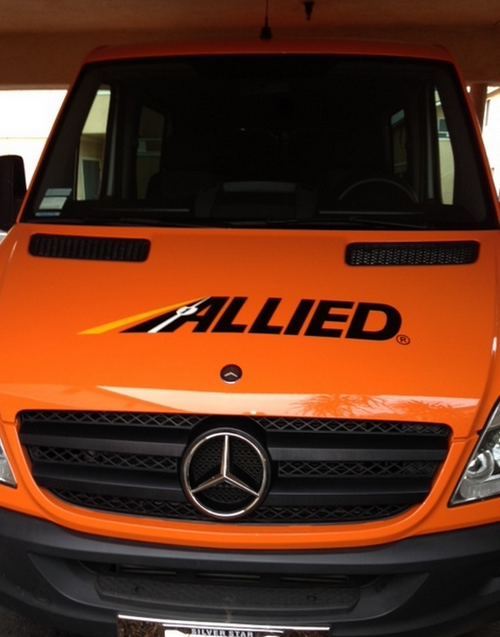 FOR IMMEDIATE RELEASE: Hazelwood Allied Adds Mercedes Sprinter to its Fleet. 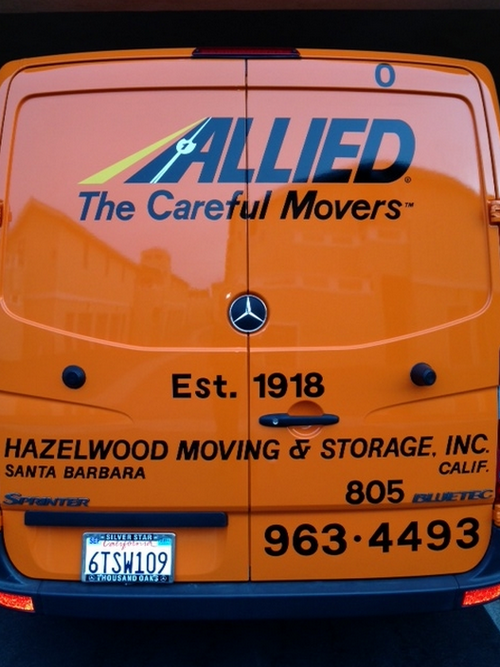 FOR IMMEDIATE RELEASE - SANTA BARBARA, CA - February 2nd, 2014: Hazelwood Allied Moving and Storage is proud to announce the addition of the new Mercedes-Benz Sprinter to its powerful fleet of commercial moving vehicles. “We are very excited to add this to our line as it will be instrumental in our ability to service exclusive clientele who have a need for great precision and above-the-ordinary care in moving valuable, delicate items”, says owner John McCann. Additionally, it is the only Mercedes moving vehicle in the nation! Our highly trained drivers have been with Hazelwood for an average of 15 years, are used to encountering every type of moving scenario, and have been classified as some of the most highly rated movers in the business. Adding the new Sprinter provides even greater added security to the anxious mover, as it is built with state of the art technology and is considered to be one of finest commercial vehicles on the road today. It boasts an exceptionally smooth ride, so movers can relax knowing their Ming vase or other delicate high end valuables will stay securely in place, enjoy a gentle ride, and arrive in perfect condition in your new home or office, even coast to coast, making Hazelwood a superior cross-country moving company. Additionally, If you are looking for equipment and packaging supplies to protect, store or transport your valuables, Hazelwood Allied has gathered a carefully selected list of preferred suppliers to provide all that is necessary to protect and pack your fine art, crystal, china, and other precious items in preparation for your move. 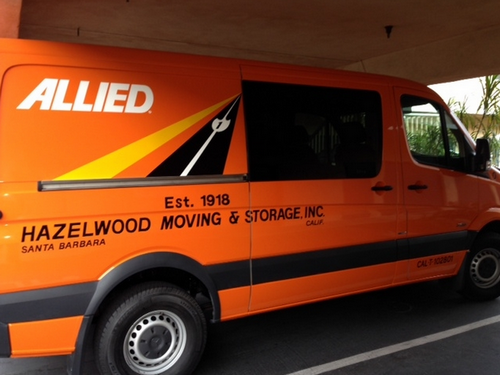 About Hazelwood Moving and Storage - Hazelwood Allied is a registered Certified Moving Consultant through the American Moving and Storage Association and is one of the most recommended movers in Santa Barbara , earning a consistent A+ rating with the Better Business Bureau. Customers can breathe easy with Hazelwood handling their move, knowing their family heirlooms are in safe hands. Visit the website and Facebook Page or call (800) 541-5958 for more information or to schedule a complimentary consultation to plan your next move. I am impressed! A Mercedes Sprinter is a really great addition to any moving and storage company's fleet. And it's good to know that Santa Barbara's careful movers is investing on serving their clients better. No wonder Hazelwood is among the most recommended movers. I've worked with Hazelwood Allied and I would definitely be using their services again.